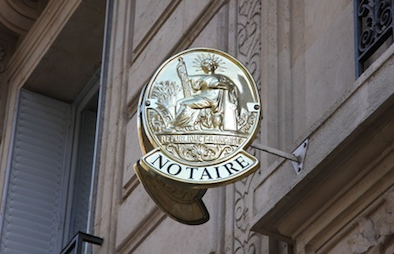 Who are the French notaires? The institution of notaire dates back hundreds of years and notaires in France are present in most of the important moments in life. They act on behalf of the State and is appointed by the Minister of Justice, and the fact that an instrument is drawn up by a notaire is a guarantee of its legality and authenticity. All this means that the notaires are vested with prerogatives of official authority which they receive from the State. A notaire is a public officer who operates in every area of law including family, property inheritance, asset, corporate, rural law, local authorities, and others. Under the terms of Article 1 of the Order dated 2 November 1945 regarding the status of notaires, “Notaires are public officers authorised to record any instrument or contract to which the parties are obligated to, or may wish to, invest with the type of authenticity associated with public instruments”. The notaire is empowered to authenticate instruments by affixing his seal and signature. By so doing he officially witnesses the wishes expressed by the signatories and gives his personal guarantee regarding the content and date of the instrument. Such instruments then have the legal status of a final judgment. As such, the notaire is an amicable judge and dispenser of out-of-court justice. Although they have public authority, the notaires operate on a self-employed basis and are responsible for their own office. The rational behind this system it to provide a modern type of public service at no/low cost to the state. Notaires are self-employed professionals who are mostly paid by their clients (and not the taxpayer public funds) on the basis of a rate fixed by the state for the services they provide. During a property sale, the notaire ensures that all the proceedings comply with french property law. Whether the property is bought directly or through an agence immobilier, a notaire still has to oversee the legal aspects of the sale. They are also responsible for receiving all contracts and checking there authenticity. Some buyers feel uneasy about having a single notaire and appoint a legal adviser, others appoint a second notaire – in this case the two notaires will share the fees and therefore the costs for the buyer are not affected. What will the notaire do? They will check each party’s rights to buy or sell the property. They will conduct a search in the land registry to see whether there are any third parties with a claim on the property. The notaire will ensure that there are no pre-emptive rights on the property. They will attend the signing of the Acte de Vente and usually the initial Compromis de Vente as well, although the involvement of a notaire in the latter is not mandatory. When signing the final contract or Acte de Vente, the notaire will read out the terms of the contract aloud to all parties. After completion, they will give a copy of the contract to both buyer and seller but keep the original deed, along with the mortgage registry. They will oversee the transferring of funds and ensure that all the taxes and fees are paid in full, including the buyer’s first mortgage and insurance payments. The buyer pays the Notaire’s fees, stamp duty and land registry fees. These fees are regulated by French law and vary according to the sale price and location of the property. There are some additional fees when the buyer takes out a mortgage. Value added tax (TVA) is payable on the total amount of the fees. Did you find this article useful? 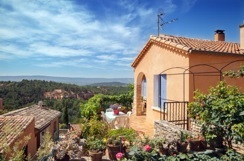 Get property tips via email with our weekly French Property, Home & Life newsletter. Does anyone have any advice in regards to buying property not unencumbered in France. Also on purchasing discounted property via friends and family.